D'Angelo Russell and Pascal Siakam are both having breakout seasons and have their respective teams in the playoff hunt. But who has the edge in the Most Improved Player race? BROOKLYN — The scene in Brooklyn on Wednesday was a common one—and no, the sellout crowd was not it. 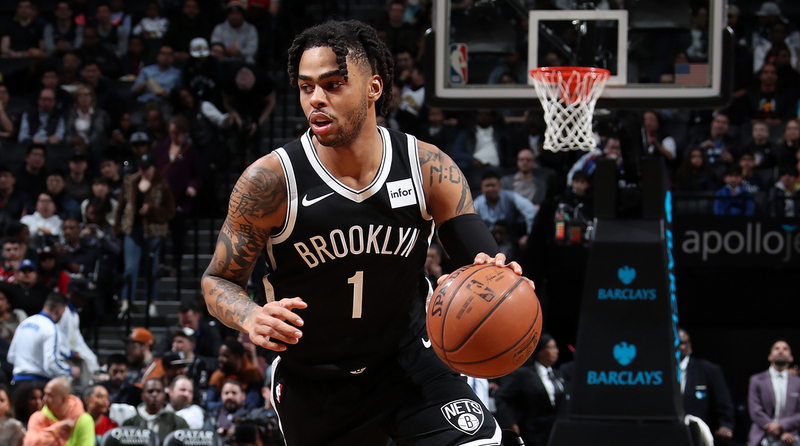 The familiar sight was D’Angelo Russell doing his best to shoot the Brooklyn Nets back into contention with the Toronto Raptors. He made three straight three-pointers in the fourth quarter that revved the crowd yearning for a comeback win as he brought the Nets to within five of the Raptors’ lead. 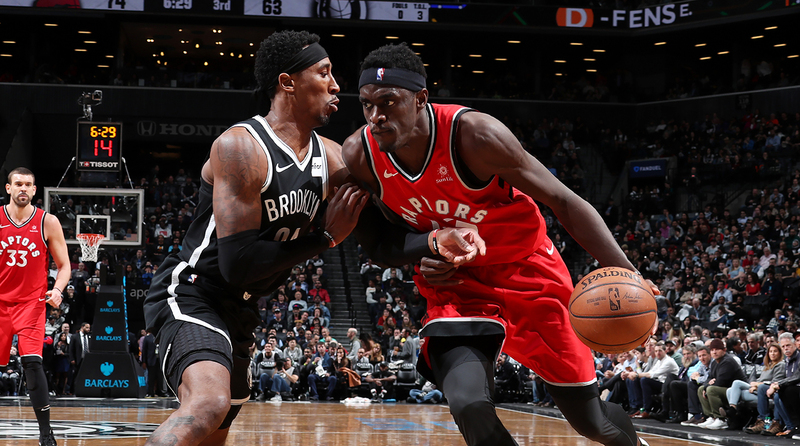 The 115–105 win in Brooklyn would have been closer, if not for Pascal Siakam. As Russell took the game into his own hands, Siakam was the only Raptor to stop his run, capturing one of his five offensive rebounds and putting in a tip shot off Kawhi Leonard’s miss. In that moment with each player leading his team in scoring for the night, both Most Improved Player candidates showed how they got to where they are this season—playing an important role in their teams’ successes—and where they still need to go. The winner for the award is not yet clear cut, and that is because the challenges the two face are nearly incomparable. To start, Russell and Siakam’s respective journeys have not been easy. A former No. 2 overall pick, Russell was cast out of Los Angeles after he did not meet his star potential in the organization’s timeframe. Meanwhile, Siakam, a late first-round pick, has played basketball for less than a decade and was never projected to reach this high of a ceiling. In his current situation, Russell’s story is one of reaching potential, and one of timing in the right circumstances. His All-Star play this season is the reason the Nets are grasping at a playoff spot with three regular season games remaining. The playoffs are only within reach because of Russell’s increased play in the absence of Caris LeVert and Spencer Dinwiddie. He's averaged a career-high 21.1 points and 6.9 assists per game, along with 36% shooting from three. Russell has brought a strong leadership presence this season, and he has made it known that he wants to win the Most Improved Player award. Despite inconsistent efficiency, he has brought a clutch gene, which has shined in the close games that have made up over half of Brooklyn’s season. It was on display as he helped the Nets to overcome a 28-point deficit to the Kings on March 20, and again against the Raptors in a game the Nets were looking to steal as their playoff fate hangs in the balance. This time, Russell’s heroics were not enough. But a string of three big shots in a row in critical moments is not a surprise from Russell at this point—it’s expected. The Nets rely on him even with LeVert and Dinwiddie back, and he will need to continue to lead as the Nets face the Bucks, Pacers and Heat to close the season, searching for a win to remain in the playoffs. Atkinson called guards Russell and Spencer Dinwiddie the heads of the snake for the Nets, and that is just where the other lead candidate in the Most Improved Player race—Siakam—differs. While Russell blossomed running a playoff-caliber offense, Siakam redefined his game while experiencing a boost in minutes, from 20.7 to 32 per game, and a spot in the starting lineup. With Kawhi Leonard apt to draw attention on the court, Siakam has had room to dart through the lane, create his shot and even become a three-point threat (he made three of them against the Nets on Wednesday). He has improved his averages, producing 16.8 points and 6.8 rebounds per game and starting every game he’s played in this season except one—a vast improvement on his five starts from last season. It’s a remarkable shift, and it has given the Raptors a key scoring weapon it needs behind Leonard. But the challenge that faces Siakam is continuing to contribute to a winning team in the postseason. If the Nets did not have Russell this season, they would have been without an All-Star and would have fallen well short of the playoffs. Russell is the guy the Nets look to in clutch situations—he is the star. With Siakam stuck behind stars like Leonard and Kyle Lowry, he is not featured as prominently. Siakam was locked into a different role, as he was charged with slowing down Russell’s run on Wednesday and being reliable in the paint to clean up misses and to rebound. While more confined than Russell, Siakam's growth makes the Raptors dangerous because they are so flexible. On sheer increased production and impact, Siakam may be the frontrunner in the race for Most Improved Player, but both candidates still have challenges to face and goals to meet. For Russell, that means making the playoffs, winnings games and dealing with the pressure of what has been a promising season for Brooklyn. “We know what we gotta do,” Russell said after Wednesday’s loss, noting the team understands the uphill climb to make the postseason. For Siakam, his challenge means going through unchartered territory. He’s helped bring his team to the top of the Eastern Conference, but his role may dwindle in the postseason as Toronto’s stars step up in an effort to break the known monotony of a Raptors postseason. As Russell and Siakam faced off on Wednesday, they ultimately shined in their roles (slow starts aside)—Russell lived up to his role of leadership and willed his team into contention, and Siakam showed his redefined game that now stretches from the paint to the three-point line. Both are worthy of Most Improved Player—and while voting is completed prior to the playoffs, each candidate’s situation has everything to do with what hangs in the balance: a postseason berth, or a postseason run. It all comes down to which player holds truest to his contrasting role more—Russell as the head of the snake, or Siakam as the surprise that has found a niche. It was a battle on the hardwood on Wednesday, and with a potential playoff series in these teams’ futures in the first round, it will be a battle to come.